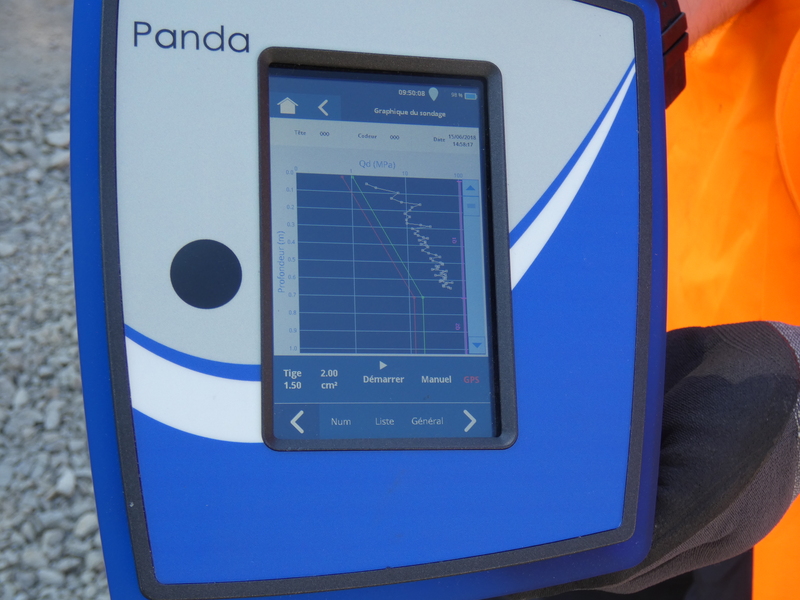 PANDA® is a lightweight, variable energy, dynamic penetrometer for compaction control and soil survey. PANDA® is an innovation designed and developed by Sol Solution. 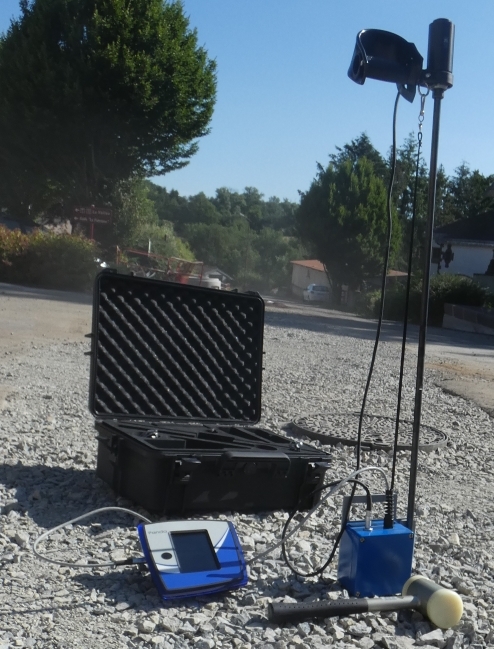 As it is portable, you can use PANDA® to perform surveys with vertical or horizontal test orientations or to reach difficult access areas. For compaction control, the soil resistivity value (in MPa) relative to depth is compared to a case catalogue of required soil characteristics (GtR), soil water status and compaction quality (Q2, Q3, Q4, Q5). It conforms to compaction control standard NF P 94-105. Panda® software enables automatic calculation of anomalies for all materials while providing an immediate reading on site. The Panda® is the highest selling dynamic penetrometer used for compaction control. Panda® makes it possible to survey sites that are inaccessible by road. It offers multi-level and multi-unit readings in real time. It is compatible with our geotechnical tools.